Today's weather brought thundershowers and rain throughout the Boston area, so our trip to Spectacle Island had to be rescheduled. 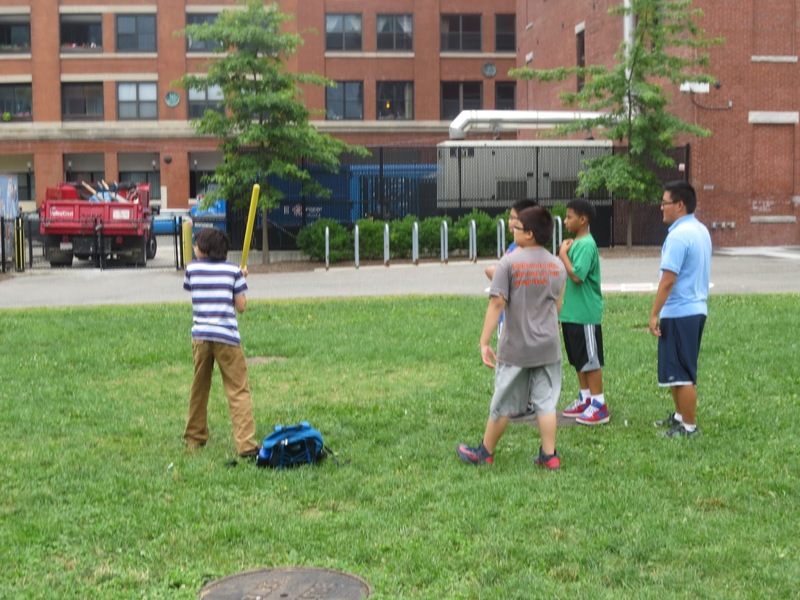 Despite the change in plans,we were able to bring Greenwood Shalom and Vietnamese Aid over to the Boston Children's Museum to fish, crab and play some wiffle ball. Manny teaching two of the kids from Greenwood Shalom how to fish. When we arrived at the Children's Museum the kids were eager to fish and set the crab traps. 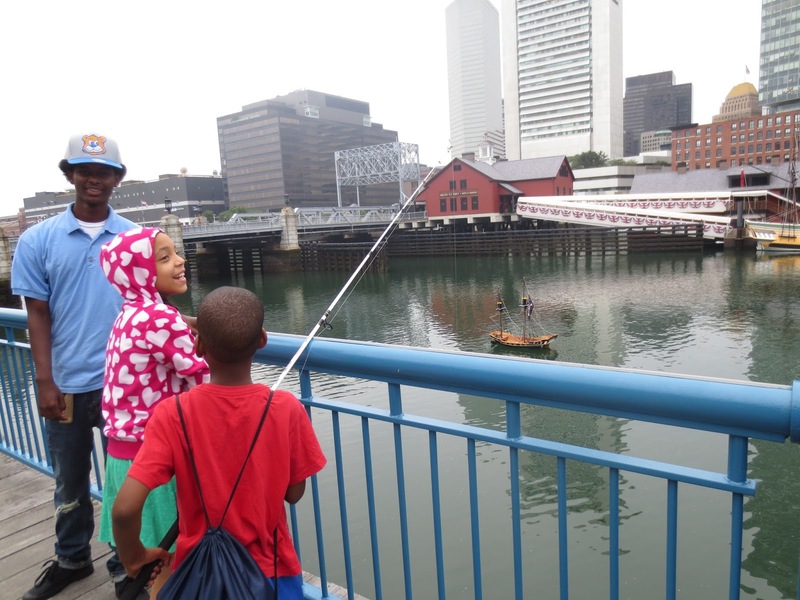 The kids along side a Save the Harbor staff member began their fun filled day of fishing. 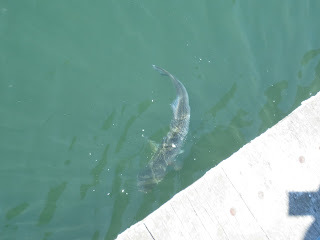 On Monday there were three to four big stripe bass in the channel. We began today trying to see if we could catch one of those stripe basses today. We began throwing pieces of bread and potato chips in to the channel to try to lure the bass over in our direction. As the morning progressed we were able to bring some of the kids over to a small grassy area to play a game of wiffle ball. As the game was moved along and the runs continued to come across home plate, play was suspended due to losing the wiffle ball and tennis ball. 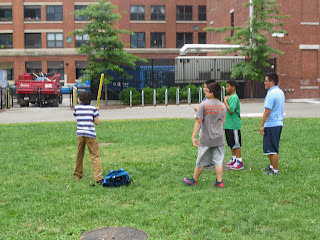 Here is some of the kids from Vietnamese Aid group playing some wiffle ball. Here is the stripe bass we were trying to catch. great day at the Boston Children's Museum.